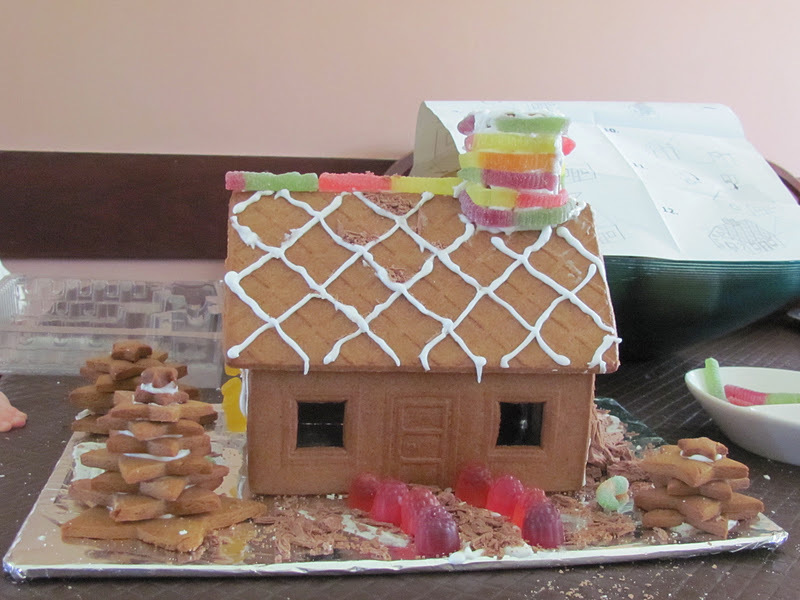 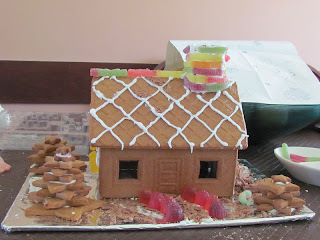 Mostly what we did was spend time with family and eat a lot of Christmas food ... my lovely niece & nephew decorated this Gingerbread House. 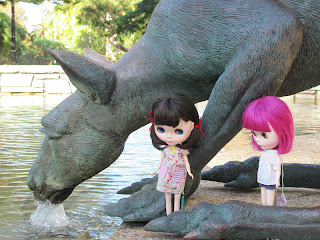 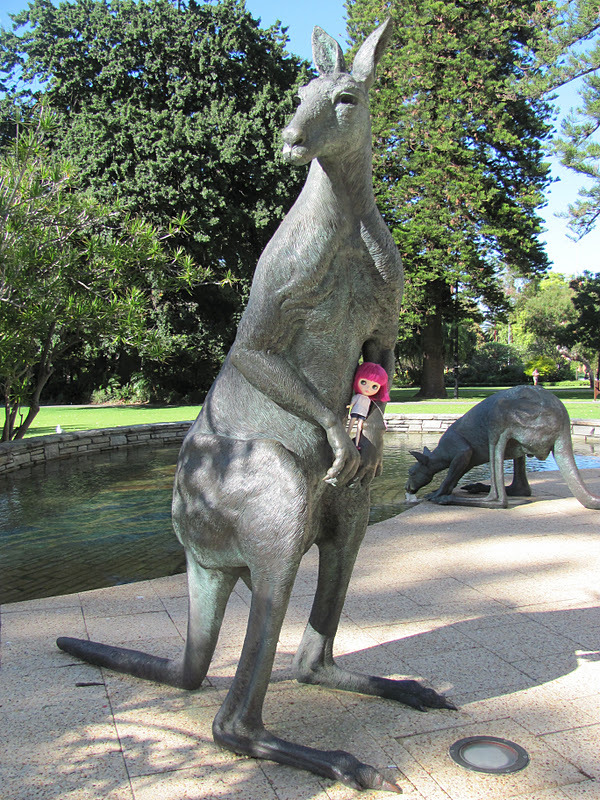 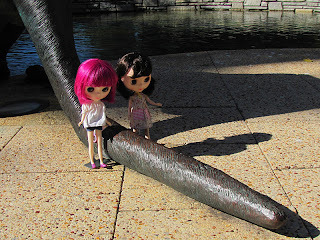 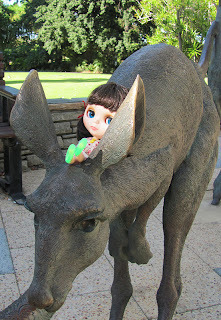 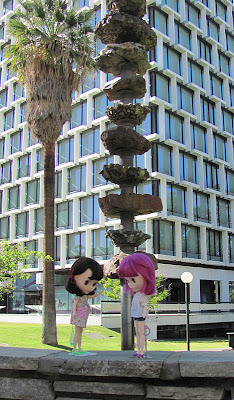 We didn't do much that was 'touristy' - though the dolls did spend a morning at the Stirling Gardens on St Georges Terrace where they met some bronze kangaroos! 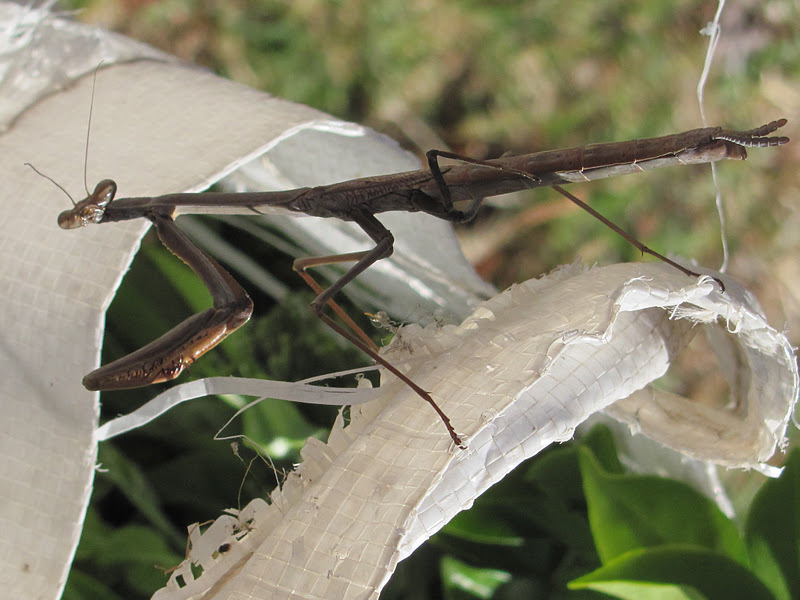 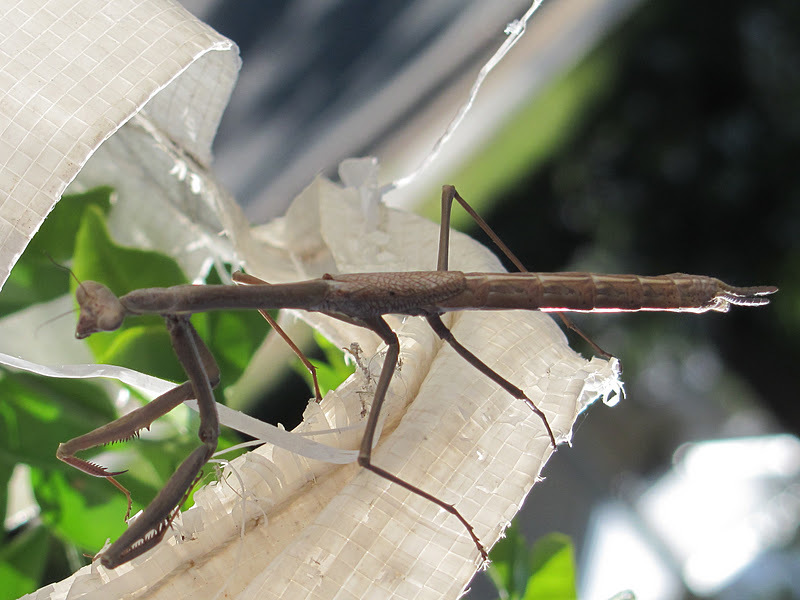 and their Tails are very long indeed! The kangaroos were created by Charles and Joan Walsh Smith in 1997. 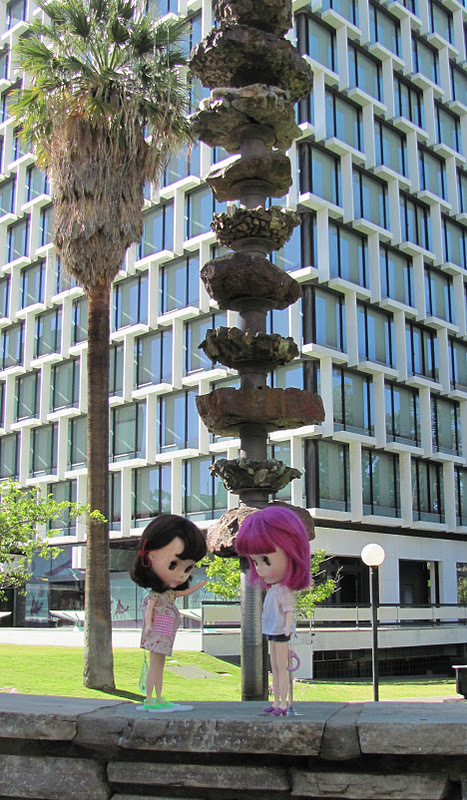 Let's see a little more of Perth's public art - this time from Kings Park. 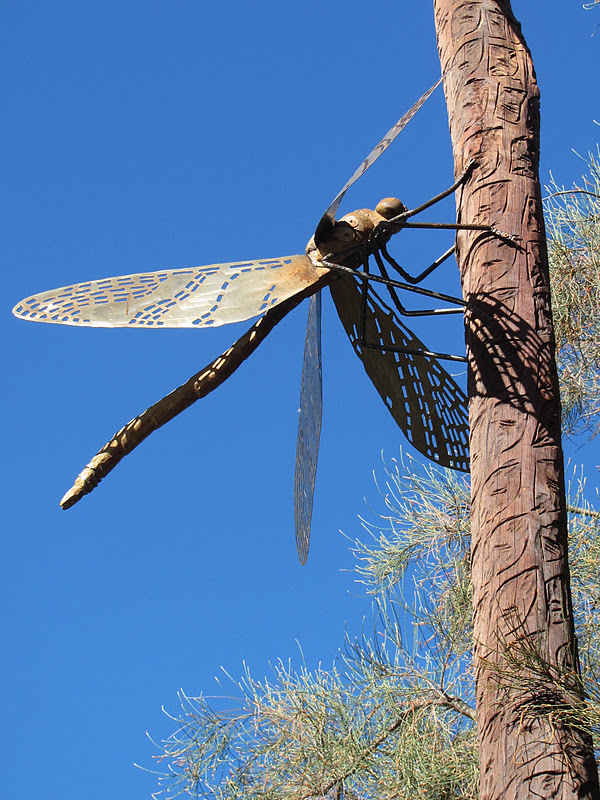 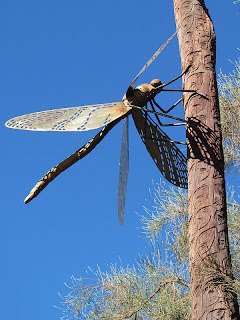 A giant steel dragonfly on "Lycopod Island" (the pole has been made to look like a Lycopod trunk). 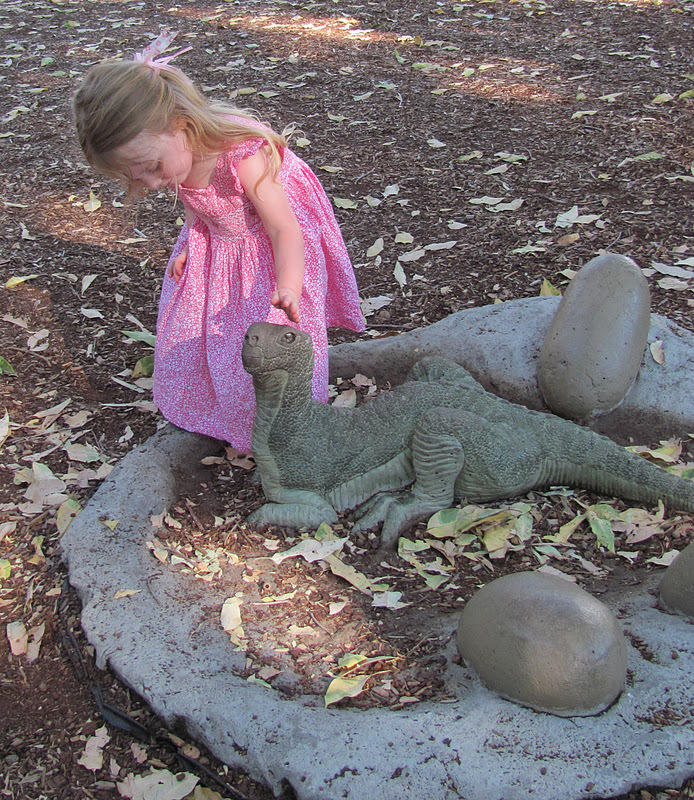 This area of Kings Park also has life-size replica dinosaurs. 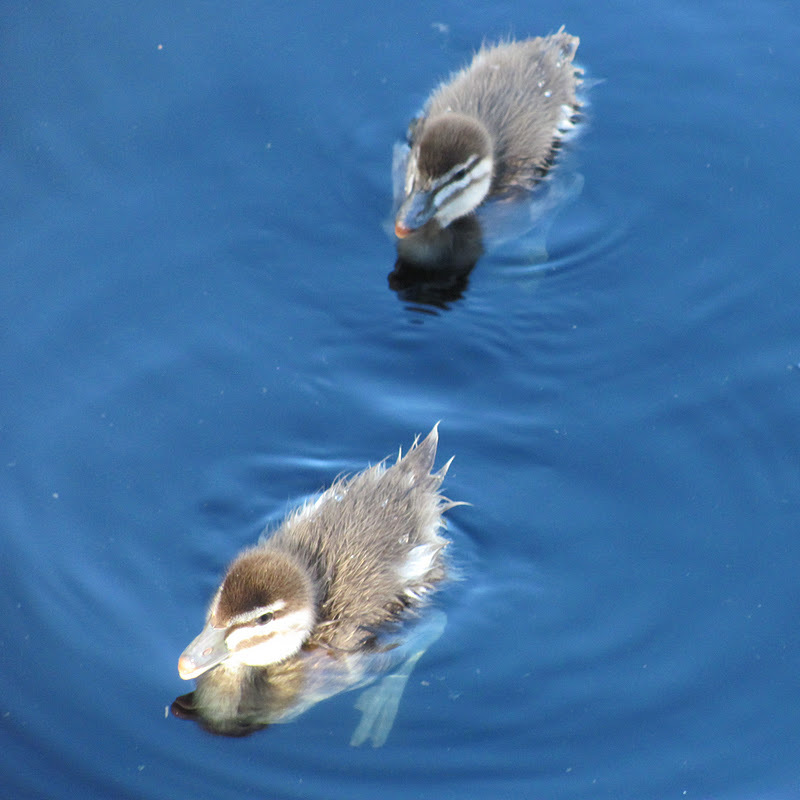 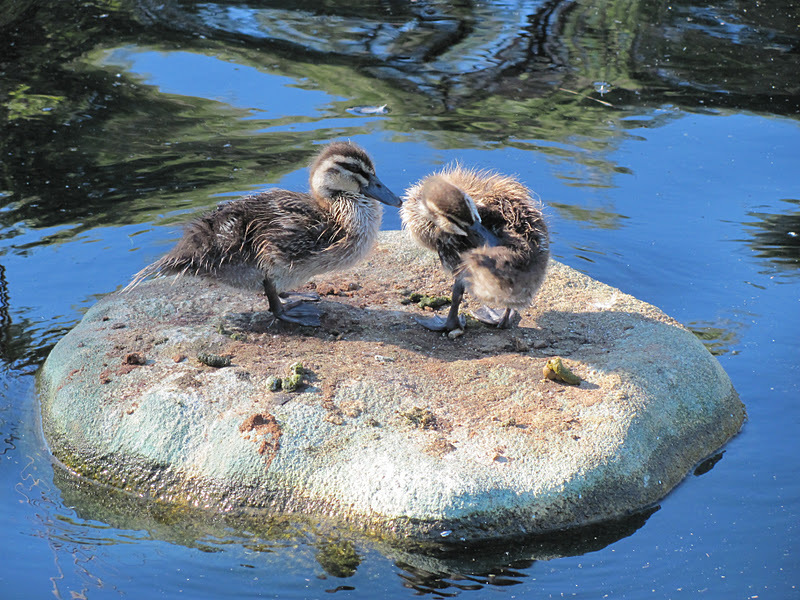 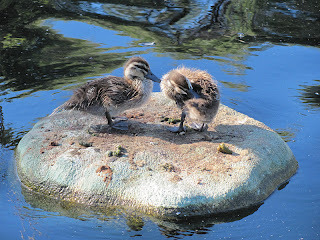 More ducklings - these 2 are Australian Wood Ducks. 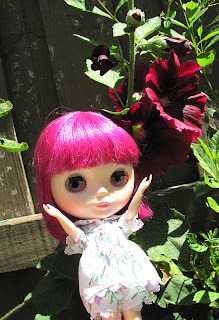 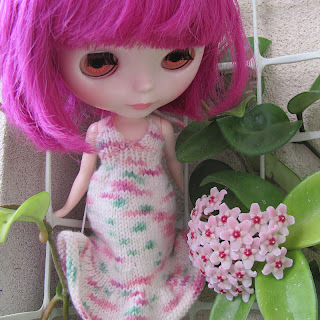 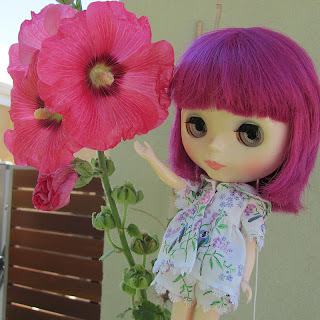 Violetta likes flowers that match her hair! 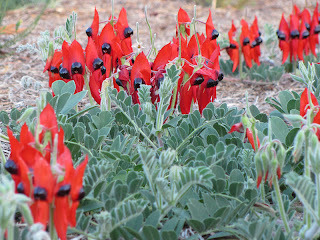 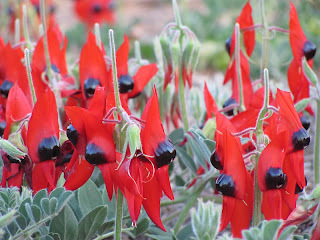 This amazing flower with its 'crescent moon' shape and shiny black centre is the Floral Emblem of South Australia. 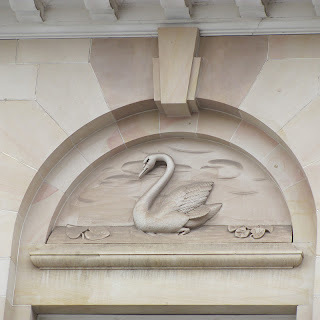 2 state emblems in 1 post! 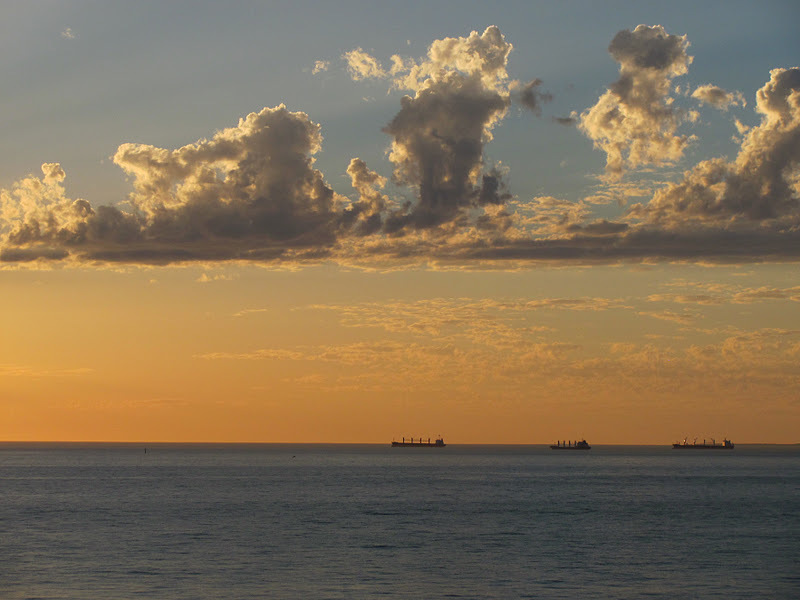 Well, let's leave Western Australia with a sunset. From Leighton Beach, ships anchored in Gage Roads waiting to get into Fremantle or Kwinana harbour. 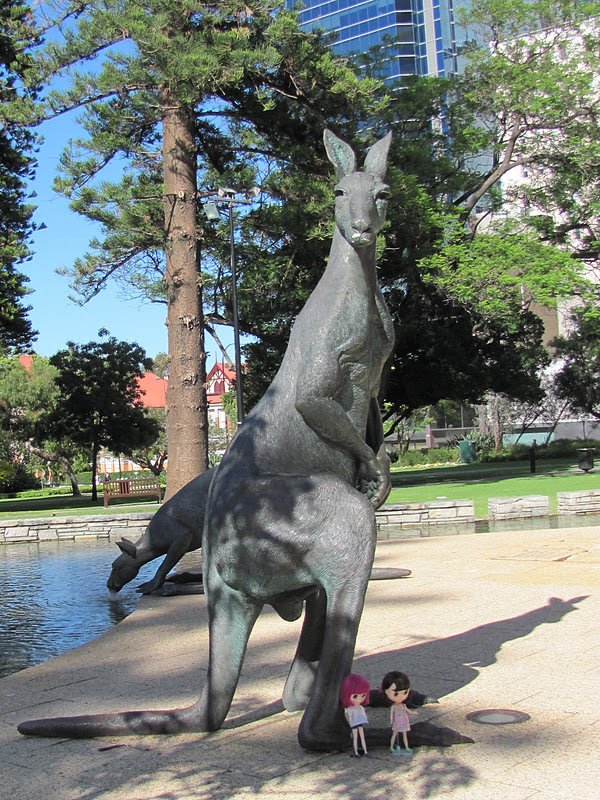 :-) The Grands thought so too !